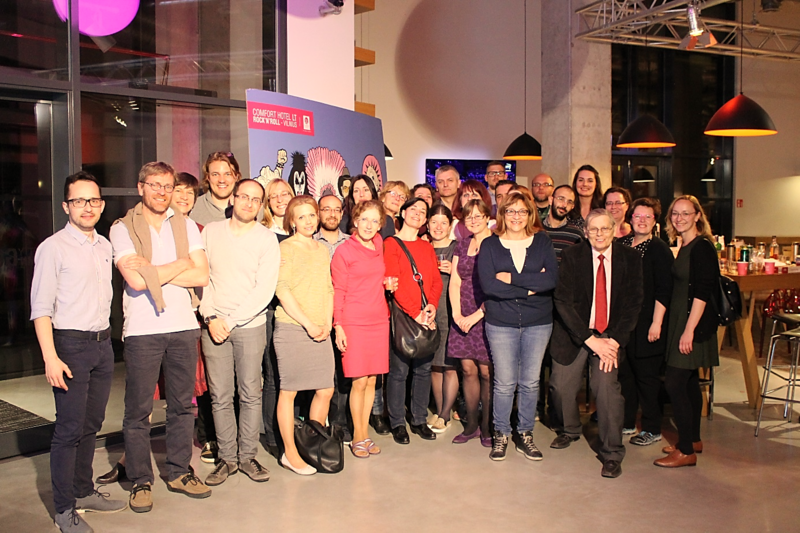 Between the 13th and 15th of May EUROCLIO organized the international training seminar ‘Changing Europe: European Decisions and European Dilemmas’ in Vilnius, Lithuania in partnership with Vilnius University and the Lithuanian History Teachers Association. During this weekend, 35 participants from almost all 28 EU countries, together with the EUROCLIO project managers Steven Stegers, Judith Geerling and trainee Joyce Schäftlein, met for two and a half days to train with the final materials of the Decisions and Dilemmas 1 project and talk about the progress and future of the Teaching Europe research project. Several active workshops were provided by the Decisions and Dilemmas 1 team with the educational materials they developed in the project, including several activities with life stories of ordinary people in the post-WW2 period in Europe, decision-making and research activities on the European Foreign Policy and Defense Community. The training materials are already in part available on the Historiana website in the unit ‘Changing Europe’, and more materials will be added in the coming period. People actively participated in these workshops, all centered on the topic of ‘How to teach about the EU’. Participants found themselves in the beautiful city of Vilnius during a city walk and learned about its history with a visit to the Palace of the Grand Dukes. Next to the official programme, in the evenings all people had lots of fun while watching the Eurovision Song Contest Final during our Intercultural evening and the celebratory end dinner concluded the programme in style. Eurocentrist Historical Perspectives as an ingredient of European Xenophobia?